Give him the right tools to ride with the Boys Hyper Mountain Bike from Kent. 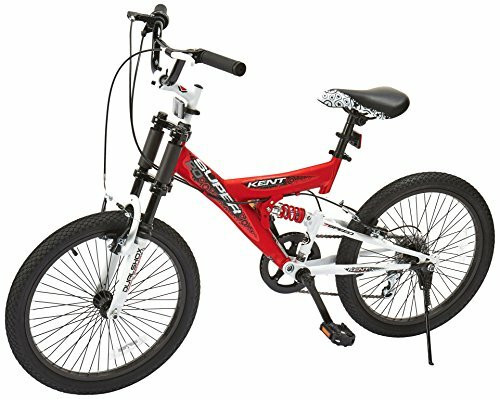 This rugged childrens bike features a fully welded dual suspension frame and downhill front suspension fork for enhanced control and a smoother ride. The Hyper features 7 speed gearing with easier twist grip shifting as well as an alloy quick release seat clamp for simple seat adjustment. This boys road bike is built to ensure safety, comfort and durability. Bike Dimensions: 50in L x 24in W 36in H / Weighs: 36 lbs. If you have any questions about this product by Kent, contact us by completing and submitting the form below. If you are looking for a specif part number, please include it with your message.